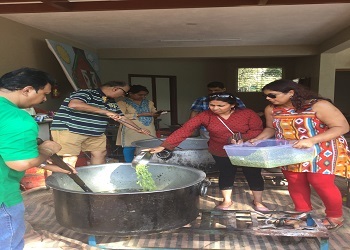 Feeding groups in Bangalore came together to collect dry rations and cooked food. Also a community kitchen was set up where individuals and families carried grocery and came together to cook healthy meal for families in the slum and street dwellers. Over 50000 people in Bangalore either gave a cooked meal or grains .